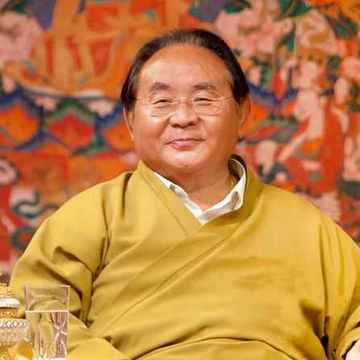 Born in Kham in Eastern Tibet, Sogyal Rinpoche was recognized at an early age as the incarnation of a great master and visionary saint of the nineteenth century, Tertön Sogyal Lerab Lingpa (contact info blocked)), a teacher to the thirteenth Dalai Lama. He received the traditional training of a Tibetan lama under the close supervision of Jamyang Khyentse Chökyi Lodrö, one of the most outstanding spiritual masters of the twentieth century, who raised Rinpoche like his own son. He went on to study with many other great masters, of all schools of Tibetan Buddhism, especially Kyabjé Dudjom Rinpoche and Kyabjé Dilgo Khyentse Rinpoche. In 1971, Rinpoche went to England, where he also studied Comparative Religion at Cambridge University. First as a translator and aide to his revered masters, and then teaching in his own right, Rinpoche traveled to many countries, observing the reality of people’s lives, and searching how to translate the teachings of Tibetan Buddhism so as to make them relevant to modern men and women of all faiths, by drawing out their universal message while losing none of their authenticity, purity and power. 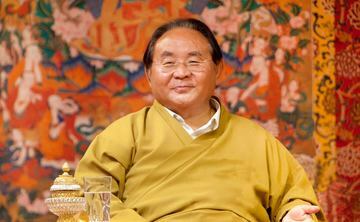 Out of this was born his unique style of teaching, and his ability to attune these teachings to modern life, demonstrated so vividly in his ground-breaking book, The Tibetan Book of Living and Dying. Over three million copies have been printed in thirty-four languages, and the book is available in eighty countries. 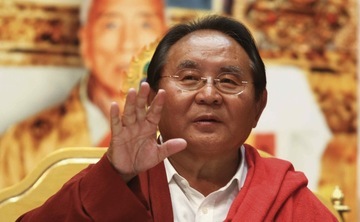 Rinpoche is also the founder and spiritual director of Rigpa, an international network of over one hundred and thirty Buddhist centres and groups in forty countries around the world. He has been teaching for over thirty years and continues to travel widely in Europe, America, Australia and Asia.